The regiment's history began in 1855, organizing on 28 May 1855 as the 2nd United States Cavalry Regiment at Louisville, Kentucky. A few months later, on 27 September 1855, the regiment of 750 officers and men marched west to fight in its first Indian Campaign, against the Comanche, reaching Fort Belknap, Texas, in late December. Under the command of Col. Albert Sidney Johnston, its officers included 12 future generals: field officers Robert E. Lee (who was appointed to succeed to command in 1861), William J. Hardee, and George H. Thomas, and line officers Earl Van Dorn, Edmund Kirby Smith, George Stoneman, Kenner Garrard, William B. Royall, Nathan G. Evans, Fitzhugh Lee, and John B. Hood. In July 1858 the entire regiment assembled at Fort Belknap in anticipation of joining Johnston in Utah to subjugate rebellious Mormons. Their orders were rescinded and they instead formed a striking force, the "Wichita Expedition," against the Comanche. Led by Van Dorn, four companies trapped and defeated a sizable force of Comanches on October 1 at the Battle of Rush Springs, and followed it up on May 13, 1859, with a similar victory at the Battle of Crooked Creek in Kansas. The 2nd and later 5th Cavalry fought in a total of thirteen Indian Campaigns, symbolized by the arrow head shaped regimental crest. Early in 1861, the regiment went to Carlisle Barracks, where the officers and men loyal to the South left the regiment to serve in the Confederacy. Lieutenant Colonel Lee was replaced by Lt. Col. George Henry Thomas. In the summer of 1861, all regular mounted regiments were re-designated as "cavalry", and being last in seniority among the existing regiments, the regiment was re-designated as the 5th United States Cavalry. During the Civil War, the troopers of the 5th Cavalry made a gallant charge at Gaines' Mill on 27 June 1862, saving the Union artillery from annihilation. This battle is commemorated on the regimental crest by the Cross moline, in the yellow field on the lower half of the crest. During the Plains Indian Wars, the 5th Cavalry played an active role in pursuing Sioux and Cheyenne war bands that refused to return to their reservations. On 8 July 1869 at the Republican River in Kansas, Cpl John Kyle made a valiant stand against attacking Indians resulted in him receiving the Medal of Honor. Under the leadership of Col. Wesley Merritt, a distinguished Civil War officer, the 5th was instrumental in defeating the Indians at the Battle of Slim Buttes. It was the first significant victory for the army following the Battle of Little Bighorn. At the outbreak of the Spanish-American War, the 5th Cavalry was ordered to Tampa, Florida, and then embarked for Cuba. 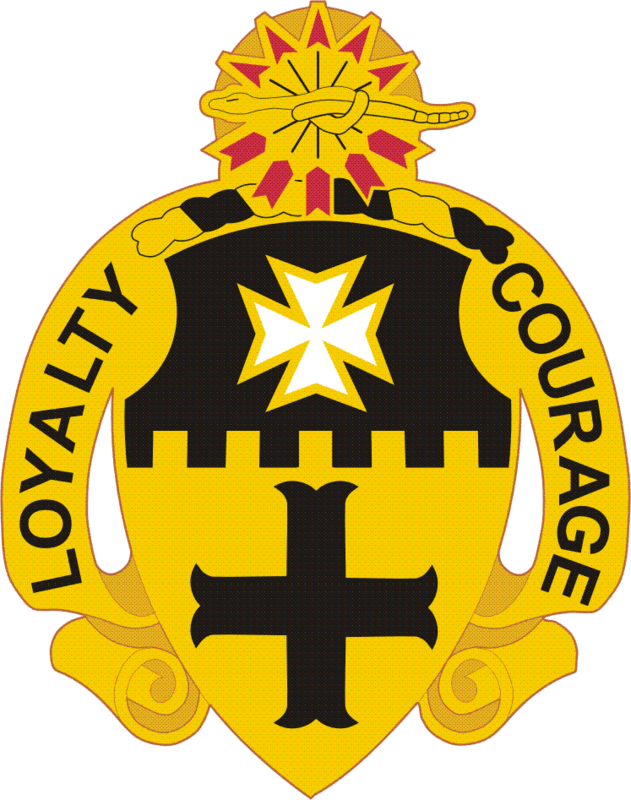 The regiment's service in this war and later for the Puerto Rican Expedition is symbolized by the white Maltese cross in the black chief of the upper half of the regimental coat of arms. The 5th Cavalry returned to the United States in 1900. The regiment served in the Philippine Islands from 1901 to 1903 and in Hawaii from 1909 to 1913. In March 1916, the regiment deployed to Columbus, New Mexico, to participate in the Punitive Expedition against Pancho Villa's forces, entering Mexico on 30 March 1916, and returning to the U.S. in February 1917. In October 1917, the regiment moved to Fort Bliss, Texas. They patrolled the Mexican border throughout World War I, where they frequently engaged Mexican revolutionaries, raiders, and smugglers. On 18 December 1922, the 5th Cavalry Regiment became part of the 1st Cavalry Division and has served with this division ever since. Having exchanged horses for vehicles in 1943, the men of the 5th Cavalry Regiment spent World War II in the jungles of the South Pacific. After the war, the regiment was garrisoned in Japan. In July 1950, the regiment was sent to South Korea to serve with other United Nations forces. After one and a half years of combat, the regiment returned to Japan in 1951, but not before 3 members of the regiment had earned the nation's highest award, the Medal of Honor* (Lloyd L. Burke (28 October 1951), Samuel S. Coursen (12 December 1950), and Robert M. McGovern (30 January 1951)). The regiment was reorganized in August 1963 as the 1st and 2nd Battalions, 5th Cavalry Regiment and later as the 3rd Squadron, 5th Armored Cavalry. The units arrived at Fort Benning in 1965, and then proceeded to the Republic of Vietnam as air and armored cavalry. In Vietnam the 2/5th Cavalry participated in twelve campaigns. In May 1971, the units moved to Fort Hood, where they were reorganized as mechanized infantry. On 12 August 1990, both the 1st and 2nd Battalion, 5th Cavalry Regiment, were alerted for duty in Southwest Asia. They deployed with the 1st Cavalry Division to Saudi Arabia in support of Operation Desert Shield / Operation Desert Storm. They were followed by 3rd and 5th Battalions, 5th Cavalry Regiment, 1st Brigade (Ready First), 3rd Armored Division (Spearhead) Ayers Kaserne (The Rock), Kirchgoens, West Germany (redesignated from 2/36 INF and 3/36 INF) on 1 January 1991 to June 1991. The 3rd Battalion, 5th Cavalry, 1st Brigade (Ready First), 1st Armored Division was deployed to Bosnia Herzegovina in December 1995. The Battalion operated out of Camp McGovern near Brcko, BiH. Attached to the battalion was Special Operation Detachment Gypsy. Gypsy Team was the Civil Military Operations (CMO) direct support team in Brcko. The team deployed in January 1996 and left the theatre in July 1996. In 1992, Delta Co. 2/5th was deployed to Guantanamo Bay, Cuba for guard duty on Haitian Immigrants camps setup on the Naval Base. The battalion was deployed in Bosnia and Herzegovina in September 1998. The 1st battalion was deployed again to the Middle East, this time to Kuwait leaving in December 2000, and returning in April 2001. The "Black Knights" returned to Southwest Asia in March 2004 in support of Operation Iraqi Freedom II. Task Force 1-5 (TF 1-5) was assigned to the Kadamyia District of western Baghdad. In August 2004 the 1st battalion was shifted from stability operations in Kadamiya to go and fight the Madi Army in Al Najaf. After completing the mission in Al Najaf, TF 1-5 returned to Baghdad to resume operations in the Kadamyia District. In November 2004 the 1st battalion was again ordered to assist in the retaking of Al Fallujah. Once the city was under coalition control TF 1-5 moved to North Babil to support the election process in Iraq. From October 2006 to January 2008, TF 1-5 was deployed to the Mansour District of western Baghdad. The majority of the deployment the battalion was attached the Dagger Brigade of the 1st Infantry Division. Task Force 1-5 fought in Al Amiriya bringing that section of the city under control with the help of one of the first Sons of Iraq movements. In January 2008, TF 1-5 redeployed back to Fort Hood, Texas. In January 2009, TF 1-5 again deployed to Iraq. This time the battalion operated in Al Adamyiah. After the SOFA went into effect the battalion moved north to Camp Taji and took over areas north of the camp. In 2004 Task Force LANCER 2-5 Cav was assigned responsibility for Sadr City, in the north-eastern portion of Baghdad. The battalion conducted over 80 days of sustained combat during the initial months of the deployment. After another 30 days of combat, the task force focused on rebuilding the infrastructure and training Iraqi security forces. These efforts contributed to the success of Iraq's first free elections in January 2005. The 5th Cavalry Regiment today comprises two battalions, both part of the 1st Cavalry Division. The 1st Battalion is assigned to the 2nd Brigade Combat Team, while the 2nd Battalion is assigned to the 1st Brigade Combat Team. Both units are combined-arms units with two M1 Abrams tank companies, two M2 Bradley mechanized infantry companies and an engineer company. The United States Army has since reactivated another component of the 5th U.S. Cavalry Regiment, in the form of Delta Troop, 5th Cavalry Regiment; as the Brigade Reconnaissance Troop for the 170th Infantry Brigade, in Baumholder, Germany. Although a reflagging of G Troop, 1st Cavalry Regiment, 2nd Brigade Combat Team, 1st Armored Division; the BRTs of Europe remain the Warding Eye and Fulda Gap presence in Germany. Also Echo Troop, 4th Cavalry Regiment, has been reflagged to Echo Troop, 5th Cavalry Regiment, of the 172nd Infantry Brigade in Grafenwoehr, Germany. In October 2012, D Troop inactivated with the 170th Infantry Brigade. E Troop and the 172nd Infantry Brigade are scheduled to inactivate in 2013. 1st Battalion is a Combined Arms Battalion of the 2nd BCT, 1st Cavalry Division stationed at Fort Hood, Texas. 2nd Battalion is a Combined Arms Battalion of the 1st BCT, 1st Cavalry Division stationed at Fort Hood, Texas. Troop E is the Brigade Reconnaissance Troop of the 172nd Infantry Brigade in Grafenwöhr, Germany. ↑ 1.0 1.1 "Special Unit Designations". United States Army Center of Military History. 21 April 2010. Archived from the original on 9 June 2010. http://web.archive.org/web/20100609010022/http://www.history.army.mil/html/forcestruc/spdes-123-ra_ar.html. Retrieved June 24, 2010. ↑ "History of the 2nd BN, 5th Cavalry Regiment". (reproduced with permission). http://www.hood.army.mil/1stcavdiv/units/1BCT/2-5/history.asp. Wikimedia Commons has media related to 5th Cavalry Regiment (United States).